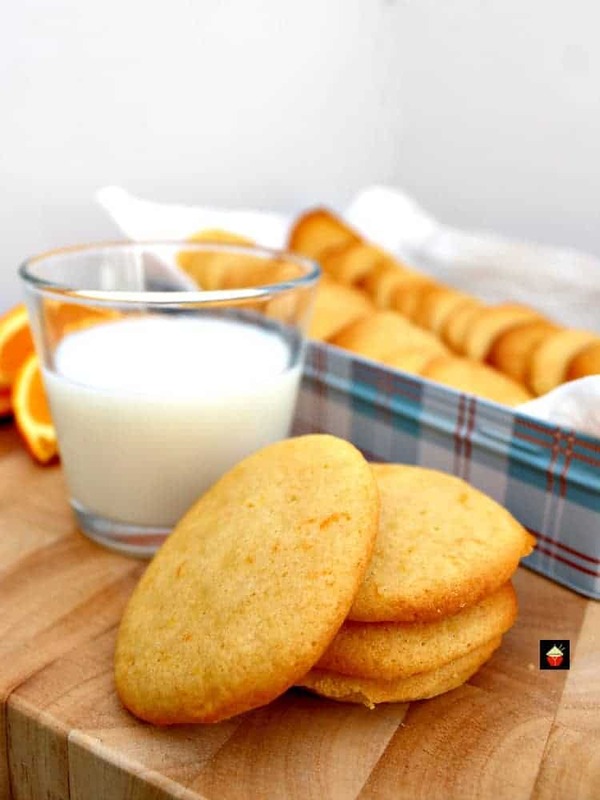 Lemon Melting Moments Cookies , A wonderful gentle lemon flavor with a melting sensation! 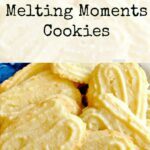 Lemon Melting Moments Cookies – A wonderful gentle lemon flavor with a melting sensation! Have you ever taken a bite of a cookie and had that ‘melting’ sensation in your mouth? It’s certainly a wonderful feeling indeed!. Here, after much trial and error, I’ve come up with a cookie which gives you that ‘melting moment’, with a hint of refreshing lemon on your taste buds, and a texture so delicate and scrumptious. 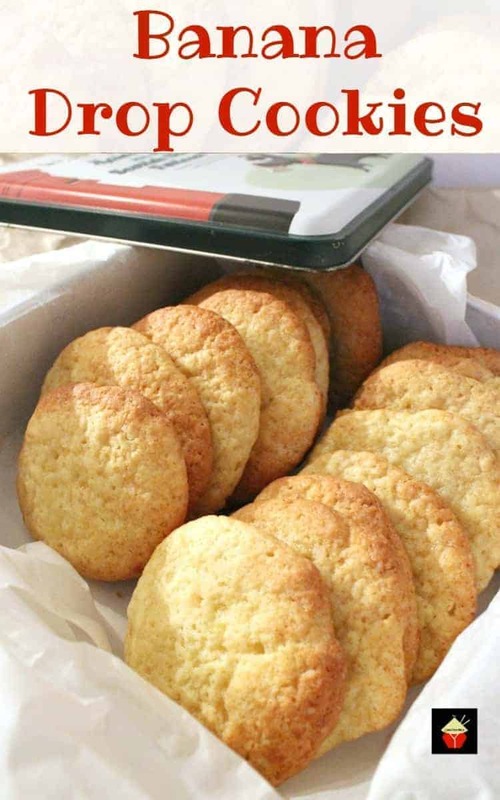 This cookie recipe is designed to have a little ‘melting effect’ in the oven so don’t panic! It will spread a little during cooking, and that just adds to the deliciousness. 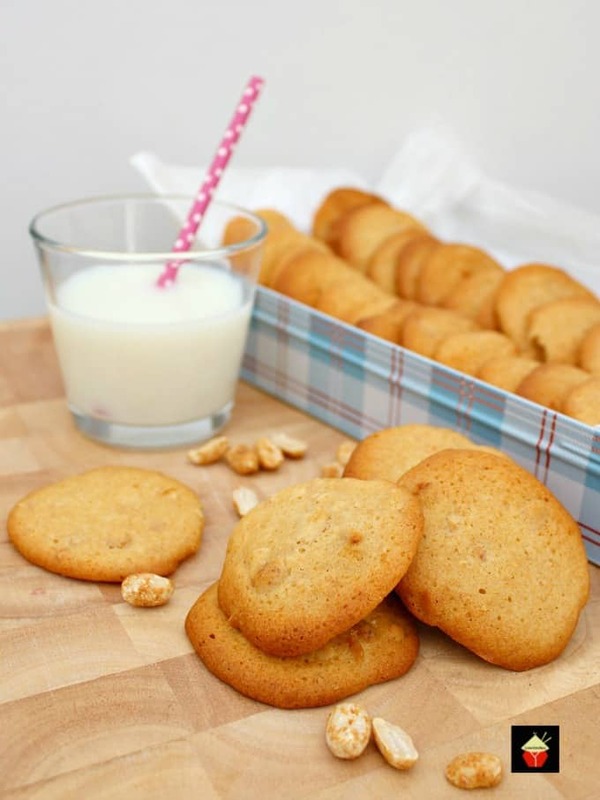 Here’s a couple of cookie items which we can recommend for you. This cookie press is easy on the hands so when you’re pressing the cookies, the handle is nice and soft. It also comes with a variety of discs in a storage box so you can make different shapes. This silicone cookie sheet is an essential for cookie making. It means your cookies don’t stick and it’s really easy to clean. You can use this over and over again so no need to buy parchment paper anymore! There’s also a pattern on it to show you where to place your cookies so you don’t overcrowd the baking mat. 1. Placed sieved flour and sieved confectioners’ sugar in a large mixing bowl. 4. Mix together very well using hands until the ingredients form a dough. You should be able to have a ‘clean’ mixing bowl with no crumbs. 5. Cover with parchment & place in the freezer for 10 minutes to firm up. 6. Fill the cookie press half full and use a template of your choice, or roll out to 1 cm thick and use a cookie cutter. Place cookies on the UN GREASED baking tray about a hand width apart. If your cookies have joined together after taking them out the oven, use a knife or plastic cutter to separate them whilst they are hot. Once they cool, it will be messy to try and cut them. Have a look a the short video below to see how to use a cookie gun. It’s quite a good guide! 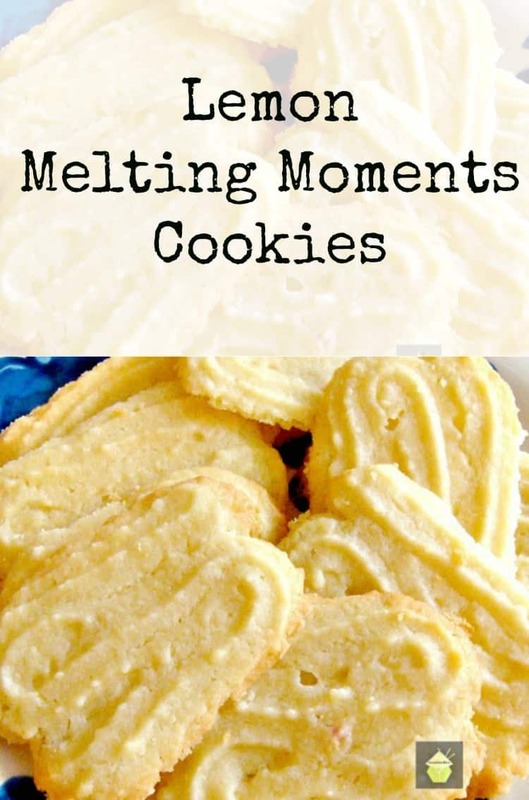 We’d love to hear from you and what you thought of our lemon melting moment cookies recipe. Did you make any changes or add some other goodies? Let us know in the comments below. Thanks for reading and happy cooking! Below are some more wonderful cookies below, all so delicious! Place sieved flour and sieved confectioners’ sugar in a large mixing bowl. Mix together very well using hands until the ingredients form a dough. You should be able to have a ‘clean’ mixing bowl with no crumbs. Cover with parchment & place in the freezer for 10 minutes to firm up. Fill the cookie press half full and use a template of your choice, or roll out to 1 cm thick and use a cookie cutter. Place cookies on the UN GREASED baking tray about a hand width apart. Mine wouldn’t come out of the gun. I wonder if I shouldn’t have put them in the freezer ten minutes? The gun recipes say not to. Hi Debra, sorry to hear that. I hope you let it soften a bit and then tried again using the gun. It sounds like the dough went just too long n the freezer, as you know, some freezers will chill food faster than others. You just need to make sure the dough is chilled, but obviously not so cold and frozen you can’t get it through the gun. Well now don’t those cookies sound great! 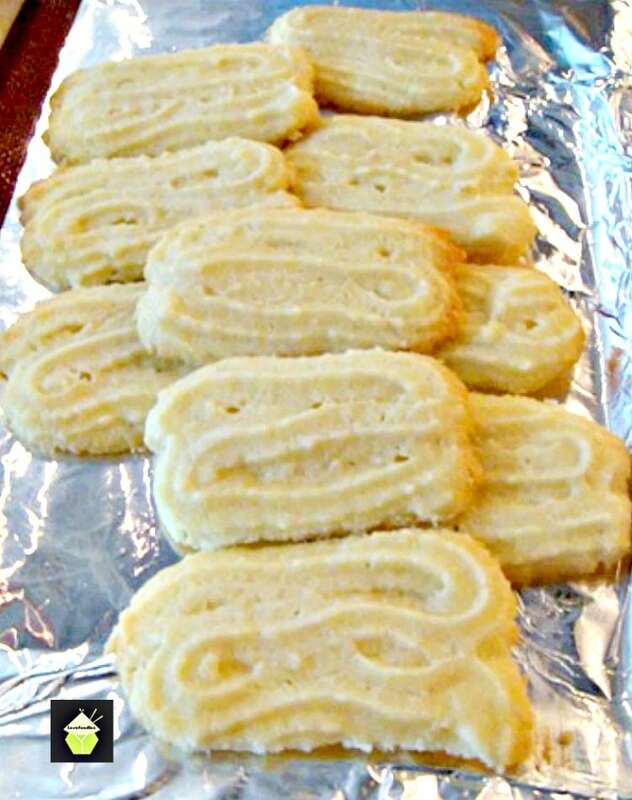 I love lemon cookies, and so I must try these. Warmest wishes to you for a joyous holiday season and a brilliant new year! Wanting to makes these! Can I use fresh lemon juice instead of extract? Hi Ashley! I am not sure about using the lemon juice, simply because I thought about using it myself, but then decided against it, incase it would affect the batter mixture in consistency. (you would need lots more lemon juice to bring out the flavor than you would lemon extract). So unfortunately, I can’t say it would work, or not work! Sorry that isn’t much help but I’d rather be honest and tell you I haven’t tried it myself to be certain! Have a super duper Christmas! Loving these little bits of lemon sweetness! 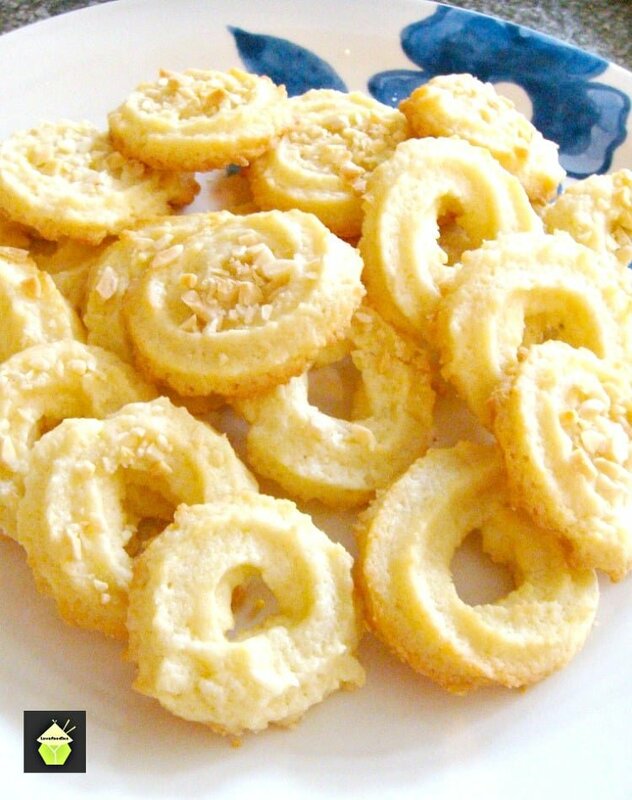 Hi Donna, yes, of course you can use your hands to shape these, I have another recipe using the butter cookie dough, so if you would like to take a look here, in particular, STEP 6, I give easy instructions for making using your hands. https://www.lovefoodies.com/nutty-melting-moments-cookies.html The texture will be just the same, you just get a different pattern of course, but they will still be delicious! Hi Rhonda, the butter should be cold and in cubes (I place mine in the freezer to make it real cold!) The dough once you’ve made it, needs to also be chilled before placing in the oven. This just helps it from spreading too much in the oven due to the high butter content. Don’t worry if they spread a little, that is normal. and be sure to have a cup of tea ready for your first cookie! I have removed the follow us strip, but as a consequence, the print button has also had to move to the top of the navigation bar! Thanks for your feedback Lynn. I had trouble getting the cookies to release from the cookie gun, so I rolled them into small balls and then flattened them with the palm of my hand. I did add one thing. I sprinkled the tops with “true lemon”. They came out so good. My husband is a lemon anything lover, He’ll gobble these down without hesitation lol. Hi! So glad hubby loved them! You do need some real good muscles to use the cookie gun as the dough can be quite stiff, but what you did is also perfect, I used a cookie gun to get a fancy pattern! No other reason 🙂 I like your idea of the ‘true lemon’ on the tops too! I really don’t like when people give a review and say they changed it, but I’m going to be one of those people today. BUT only because I didn’t have any lemon extract on hand and I reallllly wanted these! lol I used lemon juice out of a bottle and deleted the 2 T water and they turned out delicious! I can just imagine how delicious these would be when I actually use the recipe as written. Thanks! Thanks so much, Anne! I don’t keep lemon extract on hand either, but will try the juice! My Mom would love these cookies. She loves anything lemon. You will have to make her very happy and make some for Mother’s Day Patti!